CNC Automatic Punching Cutting Machine is a fully automatic numerical control punching and cutting machine, this equipment consists of two units, hydraulic punching unit, bandsaw cutting unit, both of two units are numerical control, to performing fully automatic punching and cutting, users should set the parameter in touchscreen. 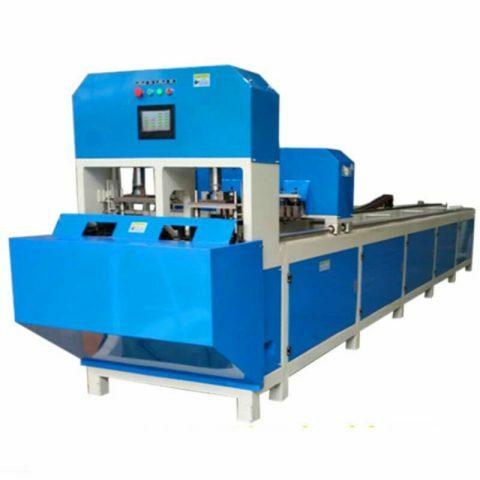 CNC Automatic Punching Cutting Machine is a fully automatic numerical control punching and cutting machine, which is widely used to punch and cut steel pipe, stainless steel pipe, iron pipe, aluminum alloy, etc. 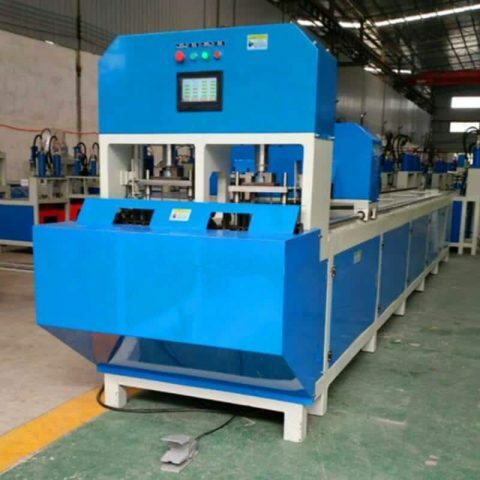 This equipment consists of two units, both of two units are numerical control, to performing fully automatic punching and cutting, users should set the parameter in touchscreen. 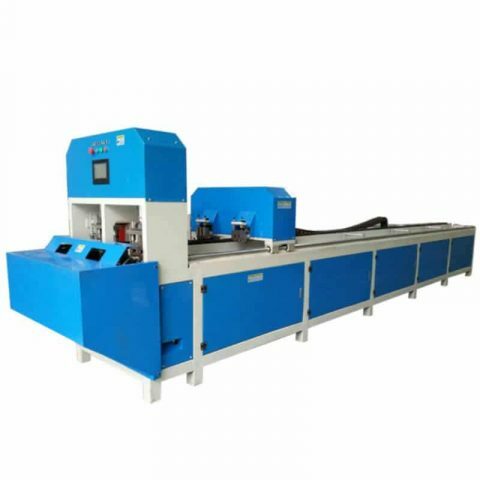 The machine will automatically punch holes at first, then cut the pipe at the set distance, users can set all parameter and save data in systems. The production could reach 1500 Pcs/8 hours. 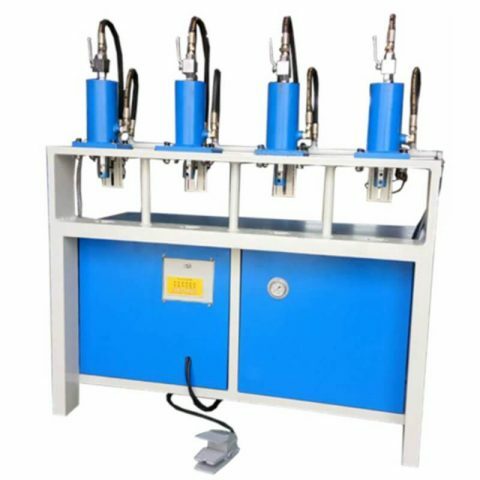 This punching machine adopts powerful hydraulic cylinder 80mm, 100mm or 125mm cylinder diameter. 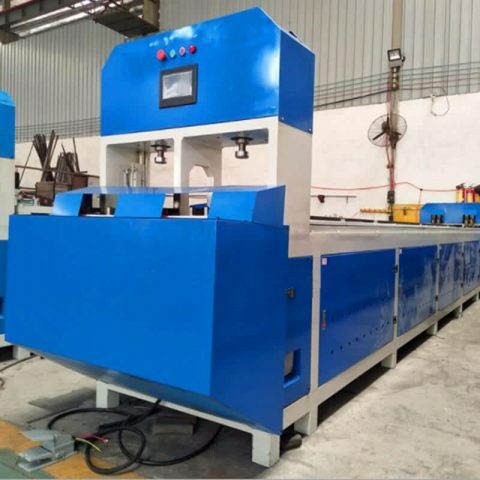 CNC Automatic Punching Cutting Machine is widely used for punching holes for aluminum profiles, steel guardrail, zinc steel fence, iron guard fence, aluminum alloy shelf bracket, handrail, balustrade, railing, banisters. Available for different material, including aluminum profile, stainless steel pipe, mild steel pipe, iron pipe, copper pipe, etc. Available materials: Stainless steel pipe, Mild Steel pipe, Iron pipe, Aluminum profile, PVC, etc. 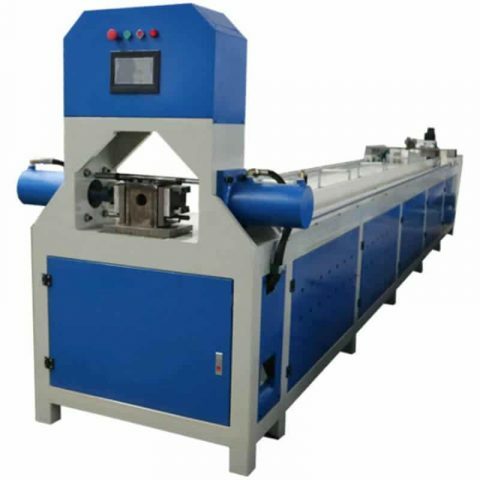 The punch machine will mount two sets of punching dies and bandsaw cutting unit. CNC Automatic Punching Cutting Machine is equipped with Mitsubishi PLC system, numerical control with LED touchscreen. Reasonable design punch and die set, to prevent the scratch on the pipe surface. The whole machine must be processed by gantry milling to ensure high precision performance. 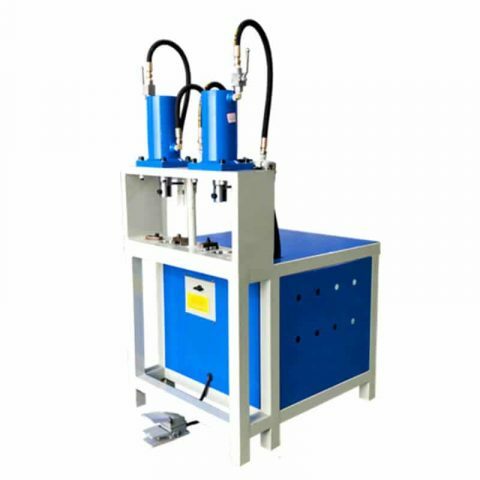 Punching power is driven by the hydraulic unit with the auto-cooling system. Hydraulic Metal Hole Punching Machine is also available for economic consideration. 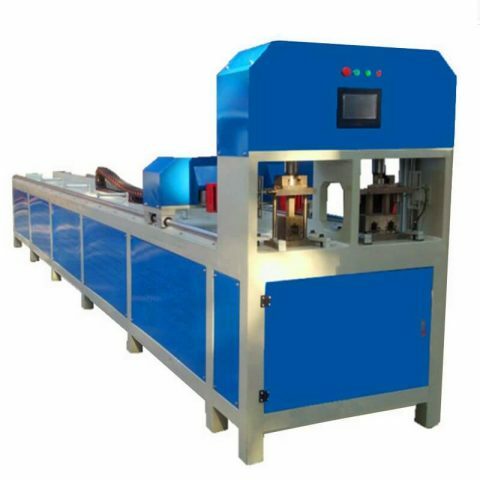 Punching and cutting functions integrated on one, automatic control the distance. 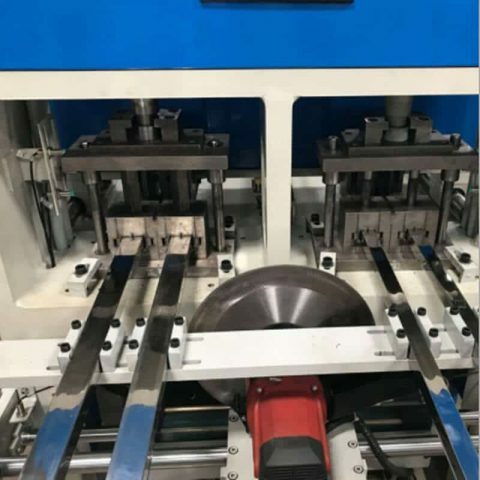 Reasonable designing punch and die set to preventing scratch, auto wiping system removes metal filings. Dual heads, processing two pieces of ladder profiles at one action, can be designed as the single head, 4 heads, and 6 heads, 8 heads as per requirement. Available for the different distance of holes punching, by setting on the touchscreen. Automatic numerical control for saving manpower. Mode selection: Auto/Manual. Single cylinder/Dual cylinder operation. PLC control, time setting and pressure adjusting. Touchscreen, visible digital display, full processes monitoring. Automatically detect malfunctions, visible alarm list, alarm reset.